On November 22, some cryptocurrencies in the market saw a reprieve from the prolonged bear attack with small spikes in prices. Bitcoin Cash [BCH], Monero [XMR] and Tron [TRX] all saw green while the other major cryptocurrencies in the top 10 club still crumbled under the bear’s wrath. Bitcoin Cash [BCH], which underwent a hard fork to form two different tokens, had suffered the worst end of the stick in terms of price till today. At press time, BCH was going up by 3.06% with a market cap of $3.604 billion. 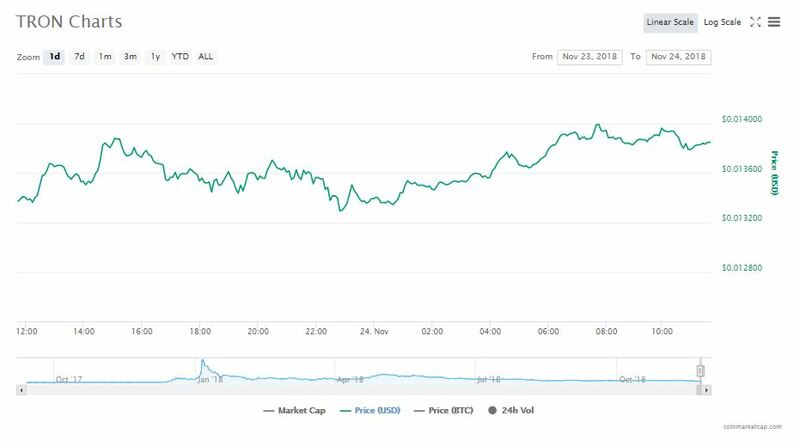 The cryptocurrency was trading for $206.25 with a 24-hour market volume of $106.38 million. A majority of the BCH trade volume was held by Upbit, with a total grasp of $27.574 million. 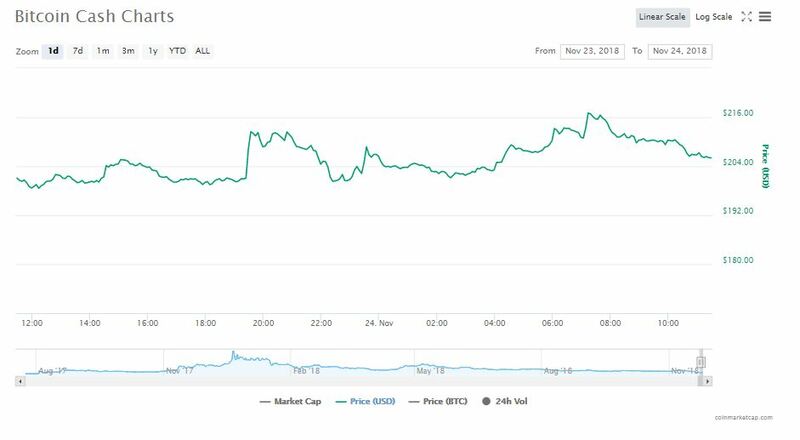 Upbit was closely followed by Binance, which encompassed $10.072 million of the entire Bitcoin Cash trade volume. Another cryptocurrency in the top ten club that was enjoying a sudden bull run was Monero [XMR], which was gaining by 3.03%. The cryptocurrency was trading for $66.64 with a total market cap of $1.105 billion. A majority of the cryptocurrency’s $13.880 million trade volume was held by Bithumb, on which trades worth $80.227 million took place. Second to Bithumb was Binance, which dominated $1.982 million of all XMR trade. Tron [TRX], which has been on quite the announcement roll, seems to have reaped dividends from it, going up by 2.44%. The cryptocurrency was trading for $0.0138 with a market cap of $907.706 million. Tron also held a 24-hour market volume of $52.573 million which was majorly split between Binance and OKEx. The post Bitcoin Cash [BCH], Monero [XMR] and Tron [TRX] ride the bull wave after the longest time appeared first on AMBCrypto. Tron [TRX] soars over 12%, in a race to overtake Monero [XMR]?